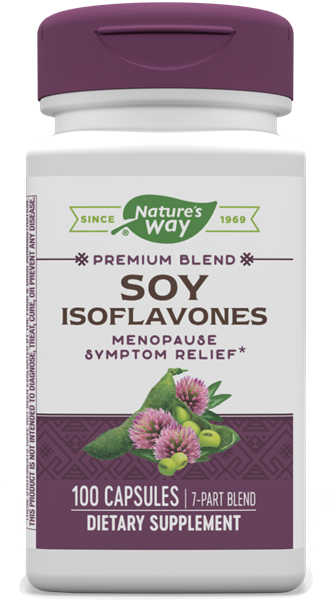 Soy Isoflavones / 100 Caps - Nature's Way®. Take 2 capsules in the morning and 2 capsules in the evening. For best results take with a large glass of warm water just before eating. If pregnant, nursing or taking any medications, consult a healthcare professional before use.